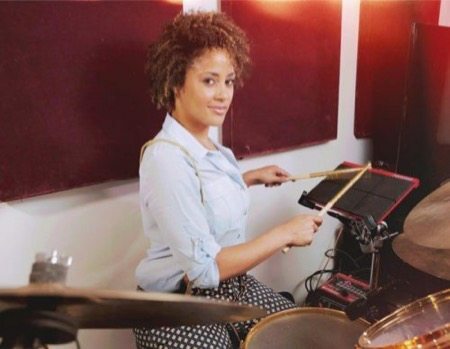 In today's weird but true news, Beyoncé's ex-drummer Kimberly Thompson has filed a restraining order against the singer over allegations of "extreme witchcraft" and even the death of her baby kitten on tour. Beyoncé, who in her early days with Destiny's Child was a devout Christian who refused to compromise her morals, but we saw a steady decline in that steadfastness after she was signed as a solo act, leaving the other members behind. Eventually she began dating and marrying Jay-Z who doesn't attempt to hide his ties to the occult and secret societies. Jay-Z goes as far as to call himself Jay-Hovah, a play on Jehova. Sounds far fetched until you start looking for evidence. NPR published an interview about Jay-Z being a Master of Occult Wisdom, and his Rocawear clothing line features phrases "Do What Thou Wilt," which is the key tenet in Satanism from the teachings of Aleister Crowley and picked up by Anton LaVey. They also consistently use symbolism related to Luciferianism, Egyptian mysticism, and more. People have been happy to play it off as a marketing ploy. He's been eager to discredit claims that he's a Freemason despite the pictures online proving otherwise. Back to Beyoncé. It didn't take long before she began to allude to occult topics such as mind control, "alters" (meaning alter-egos from dissociation), and demonic topics. Soon, she began wearing jewelry featuring Baphomet's head, wearing outfits that alluded to Baphomet, dressing as the 'Whore of Babylon' robot from the 1927 movie Metropolis that made overt references to Satanism and Moloch. Basically, her marketing became entirely saturated by sinister occult themes. People stopped brushing this off as publicity stunts when details started coming out about more Hollywood and Washington D.C. elites' involvement in these cultures, from Azealia Banks room in her house where she sacrifices chickens, to the emails of Hillary Clinton and her aides where they talk about sacrificing chickens to Moloch and Spirit Cooking and cannibalism where they consume every kind of bodily fluid you can think of in magic rituals. What does this have to do with Beyoncé and Jay-Z? Not only did they stump for Hillary hard during the elections but they have close ties to the Spirit Cooking woman, Marina Abramovic, sharing performances and attending events, as do all of the other celebrities and politicians. Then there's the Bohemian Grove where all of the politicians go to do mock human sacrifices to Moloch and Minerva (who was also mentioned in the Hillary campaign emails). It's weird stuff, but all builds a pretty convincing case, if you're willing to go down that rabbit hole, that the social elite of the country and world are engaged in religious activities that the rest of us aren't privy to and find repulsive. Any sane person who hasn't encountered this kind of information before likely is thinking "what a crock of conspiracy crap. You expect me to believe Beyoncé is getting wrapped up in civil court over witchcraft?" Yes. The Blast broke the story a few days ago, which was corroborated the next day by Pitchfork who sought the court documents, and again by Newsweek the following day. Now it's all over the web, including Vice, Heavy, Inside Edition, Daily Mail, and tons of news companies. Understandably, some don't want to touch the story while others would prefer to bury it. It should be stated that the judge denied this temporary restraining order. Kimberly also posted on YouTube recently talking about how the world is full of mean people but also good people, speaking in very broad and generic terms while behaving erratically and manically. Who knows if this isn't just the ravings of someone slowly unraveling mentally. But that's just the temporary restraining order that was denied. It doesn't help that Beyoncé's sister, Solange Knowles, has a very outward interest in Voodoo and Wiccan practices. There will be a court hearing October 11th at the Los Angeles Superior Court to determine if the restraining order should be honored or not.